Also in social media news, September 2018: Twitter launches audio-only live streaming, and Facebook Creator Studio is going global. The kids are back to school, football is back on tv, and the leaves are starting to change colors. This can only mean one thing: fall is officially upon us. What does this mean for our most popular social media platforms? Similar to battling dropping temperatures, it’s time to heat things up to keep users engaged and active. Especially for Facebook. 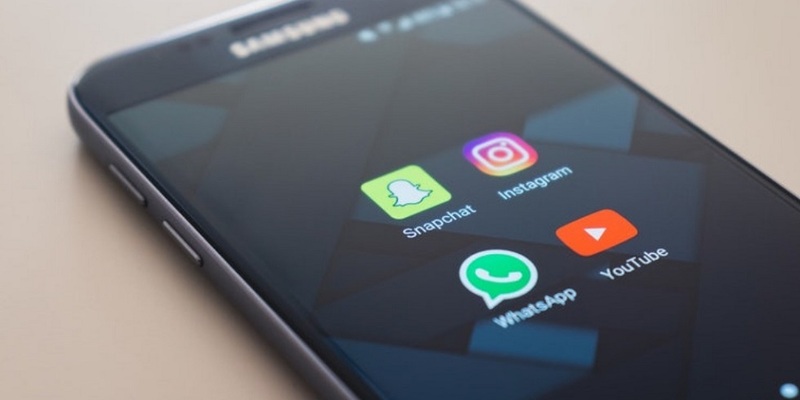 In a new survey by the Pew Research Center, users revealed how their engagement with the social media platform has changed in the wake of privacy and security concerns. Most notably, 44% of Facebook users ages 18 to 29 reported deleting the Facebook app from their phone in the past year. Despite the fall chill, Zuckerberg and his crew need to continue heating up their security updates and find new ways to gain user trust and ensure user privacy. Here’s what else has been happening in September with the hottest social media platforms and how the latest updates help businesses gain exposure and target new audiences. Here’s your social media news for September 2018. Facebook will now allow pixels to be added to a brand’s Facebook Group. This expanded feature will enable marketers to track user growth, activity, and engagement with their websites. Facebook is hoping the new update will boost attention for Groups as an advertising avenue. “Facebook Groups are the new email for brands. They get push notifications. The engagement rate of Groups is extremely high. It makes sense they’re going to put a pixel in there, just like you would with email, because now through groups you can track conversions,” says Nik Sharma, Director at Hint Inc. Snap Inc. announced two upcoming webinars that provide more insight into how Snapchat can boost marketing campaigns for advertisers. These webinars are “for advertisers who want to learn more about the Snap Pixel. From how it differs from other pixels, the optimizations and attribution it enables, to implementation and troubleshooting, we’ll cover everything you need to know to power your eCommerce campaigns.” Though Snap’s niche is young adults, the app is working overtime to provide more advertising options, including performance tracking and user engagement. Twitter launched a new audio-only option on its app and Periscope. The popular feature, available on Facebook since 2015, has been heavily requested by users for years. “Broadcasting with audio only in Periscope is something the community has been asking for, and have been doing already by covering the camera lens. Sometimes people are not comfortable being on camera, but they still want to broadcast and interact with others via Periscope’s powerful chatroom feature.” writes Periscope engineer, Richard Plom. The new feature allows users to hear content without being locked to a screen. This will help businesses tap into the podcasting trend (streaming without video), creating new ways for users to tap into a brand’s content. Facebook officially launched Creator Studio globally, “providing one central place for Pages to manage their entire content library and business.” Publishers and account managers can now manage content, interactions, insights, video publishing, and much more in one central location.